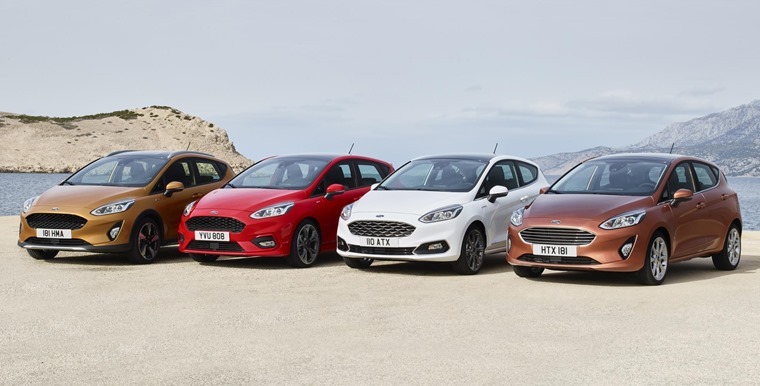 The Ford Fiesta has a long and illustrious history in the UK. Its eight generations have dominated the supermini class since 1976, and over the years it has been honed and improved to become the industry benchmark for what a small hatchback should be. After nine years in production, the seventh generation has finally made way for an all-new model. 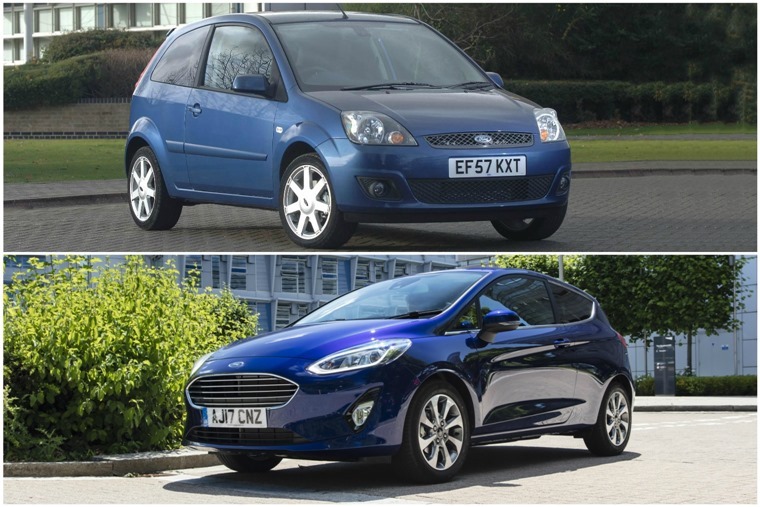 Crammed with tech and featuring a more grown up look, we’ve had a look at just how far the small Ford has come by comparing it to a Fiesta of old – the fifth generation to be specific. 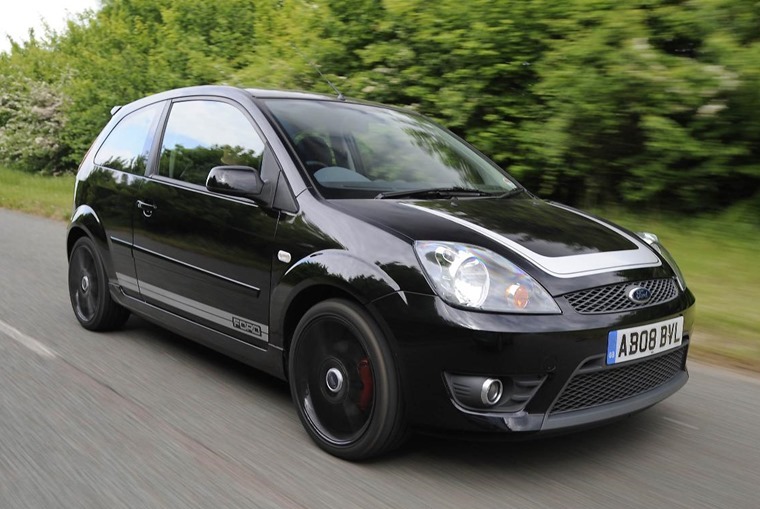 The fifth generation Fiesta arrived to much applause in April 2002 and was immediately ahead of the game. The small Ford may have been popular prior to this model’s launch, but its underpinnings could be traced back to the late 1980s and it was getting a little long in the tooth to say the least. That all changed when the-then ground-breaking car hit the market, becoming a trend-setter and arguably the car which catapulted the entire supermini market into the 21st century. 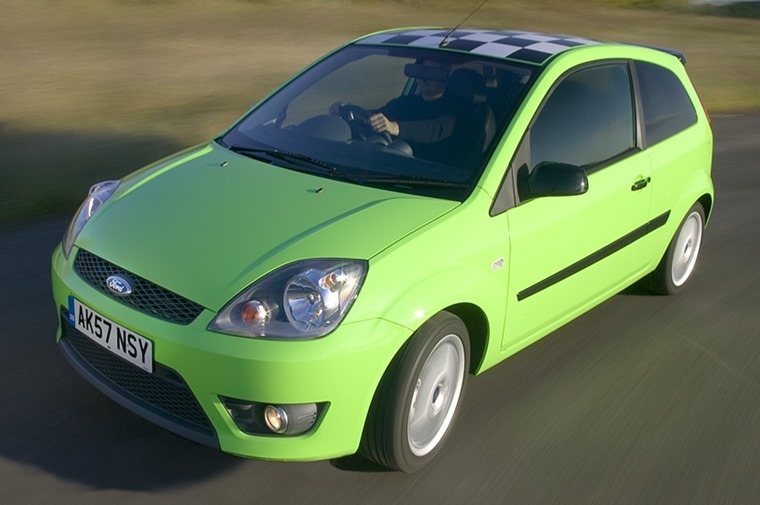 By 2006 it was the most popular car in the UK and had firmly cemented the Fiesta’s reputation as a class-leader. Back to the present, and we find many parallels in the new model. Featuring the very latest in engine technology and new styling (albeit not as drastic as the 2002 update) it’s cleaner, more economical and also larger than ever before. If you aren’t convinced that’s enough to capture the zeitgeist, this is the first Fiesta that’s available as a crossover (and nothing says 2017 like a crossover). In short, it’s another major step forward for the blue-ovalled brand and a move which should prove more than capable of fending off its rivals. There’s no doubt that these cars are years apart with the older of the two now looking its age. Compared to its contemporaries however, that boxy and upright demeanour was a breath of fresh air at the time and it was arguably the first supermini that brought big car looks to the class. The new Fiesta takes that premise further and, while its styling is more evolutionary than revolutionary, its appearance has been tidied up with a new set of head and tail lights to give it a fresh new look. Where it comes into its own is in the personalisation stakes, which is something that’s become more significant for car makers since 2007. 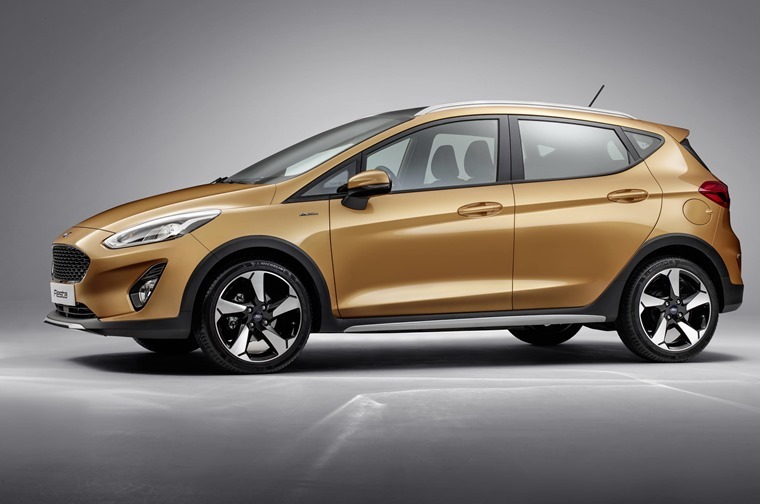 Ford will continue offering its traditional Style, Zetec and Titanium models, but the Fiesta can now be specified in plush Vignale and chunky Active guise too. The latter essentially turns the supermini into a small crossover, featuring chunky SUV-inspired styling and higher ground clearance. If the craze for this kind of vehicle continues at its current rate, Ford has made a very wise decision here. For example, CD players. Remember those? Well you’ll find one sitting proudly in the old Fiesta’s dash, which hasn’t exactly aged gracefully. That’s not to take anything away from it; it’s just quality, fixtures, fittings and equipment levels have all improved ten-fold over the last decade. Step into the 2017 Fiesta and it’s a brave new world by comparison. 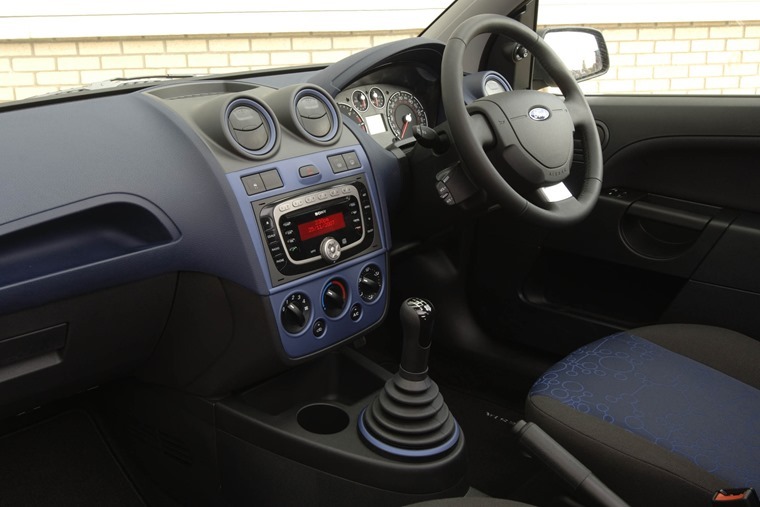 Standard equipment includes a plethora of connectivity options, DAB radio and air conditioning. Plump for Zetec trim or above and you’ll find either a 6.5 or 8in touchscreen infotainment system sitting where once there was a CD player. 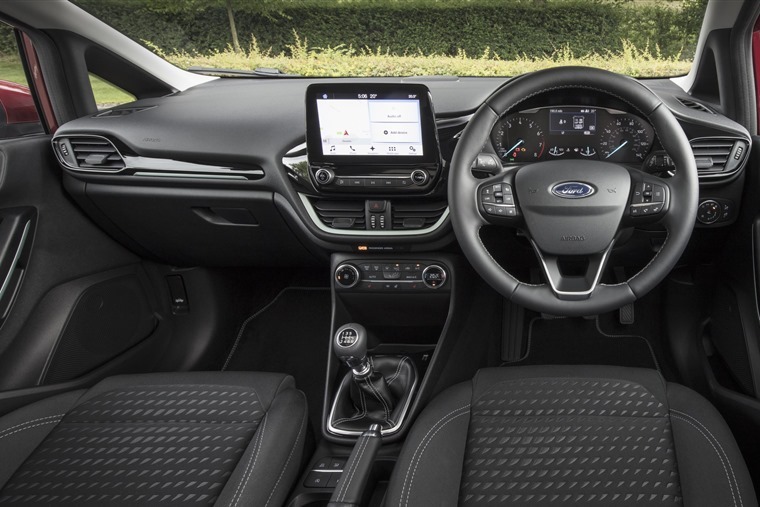 Aside from Ford’s latest SYNC3 tech, it’s the quality that’s the most noticeable improvement – interior trim is barely recognisable next to the fifth generation. People now expect the same levels of equipment and trim in superminis as they do in larger vehicles, and in this sense the new Fiesta delivers in spades. One of the Fiesta’s overriding qualities since its inception has been its ability to put a smile on your face behind the wheel. Whether it’s a basic 1.25-litre Style from 2004 or the recent ST, you’ll struggle to find a more fun-to-drive supermini than a Fiesta. 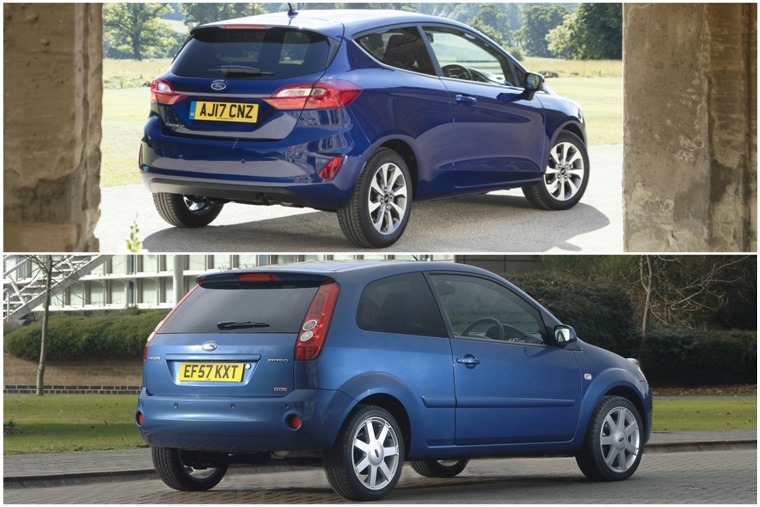 While the old car might still be able to hold its own in the smiles per mile, advancements become glaringly obvious when it’s compared to the new one – refinement is up all-round, while the steering and brakes are a massive improvement too. What remains however, is that fun to drive factor. The new car gets a host of engine options, the best of which we believe to be the turbocharged EcoBoost offerings. The 1.0-litre unit is available with a range of power outputs, and while smaller in capacity than those which have been offered in the past, are both more potent and economical. 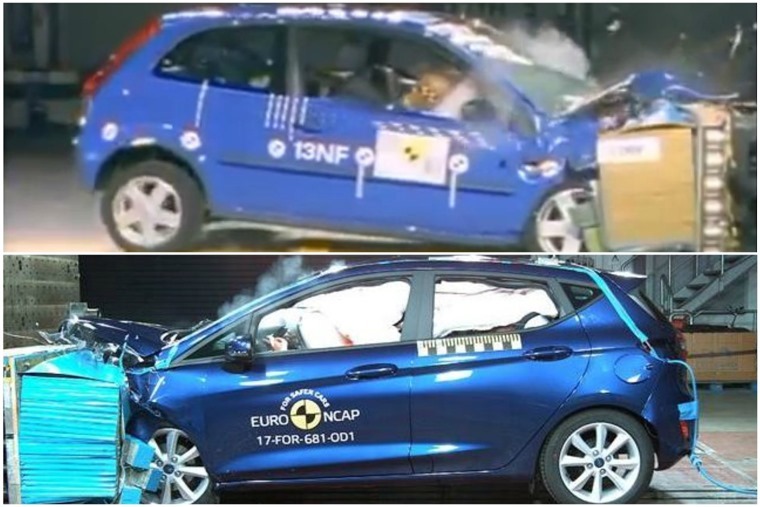 Safety has improved in leaps and bounds over the last decade, and we have the crash testers at Euro NCAP to thank for this. The way they test cars and the categories that are now included have changed as much as the cars, as it kindly demonstrated earlier this year. 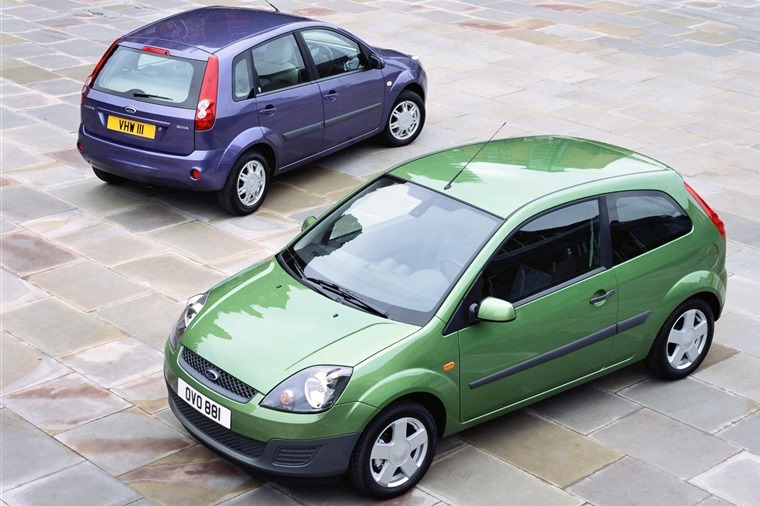 Official results from 2002 show the Fiesta scored an admirable four stars in adult protection, and an average two stars when it comes to pedestrians. See what we mean about categories? Since then, NCAP testing now takes into account child occupants, as well as the Driver Assist tech on offer. The good news is that the new car gets the full five stars, with impressive levels of protection for adults, pedestrians and children. 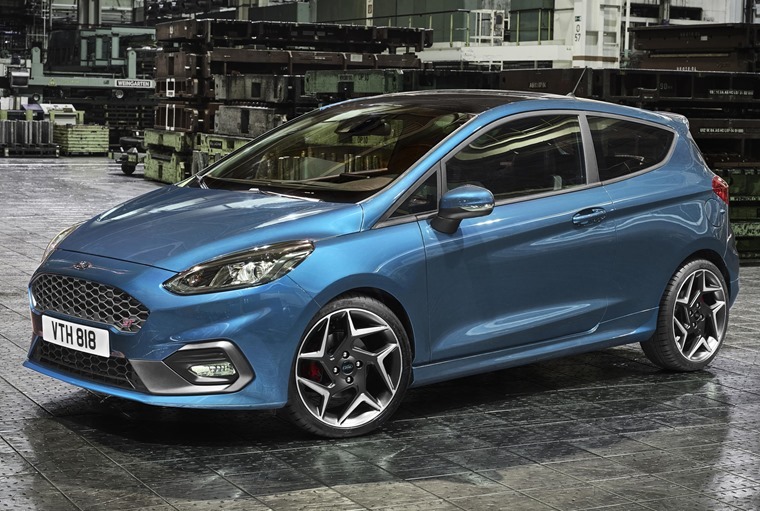 All Fiestas get impressive standard safety kit such as Lane Assist, while the very latest automatic emergency braking system is also available as an optional extra. New versions of the Seat Ibiza and Nissan Micra have all hit the market in recent months, while a new Polo is on the way too. It’s fair to say Ford has released its new Fiesta just in time. It might have its ancestor beat in almost every area, but what about that tough competition? Each generation of Fiesta brings with it a raft of refinements and Ford’s latest effort is no exception. At the same time, the qualities that have always made it so popular remain. With that in mind, we reckon the new Fiesta will continue to rule the supermini roost for years to come.